Most of us go through our lives taking a full head of hair completely for granted, but as the old saying goes “you don’t know what you’ve got until it’s gone”. 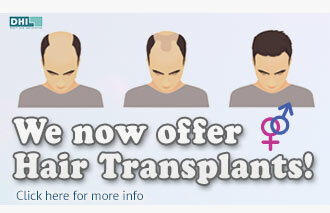 As soon as you start losing your hair, you’ll realise just how lucky you were, before wondering what your options are. For some people, baldness is something they embrace, but for others, it can seem like the worst thing imaginable. For those who aren’t quite ready to embrace baldness, hair loss medication is one options that is often discussed. However, it is worth noting that hair loss medication doesn’t stimulate the regrowth of hair in baldness areas – it is only useful for retaining the hair you have left, not restoring growth. These medications should also only be viewed as a short term solution, because once you stop taking them you will lose the hair that was preserved – basically, you are just prolonging the inevitable. 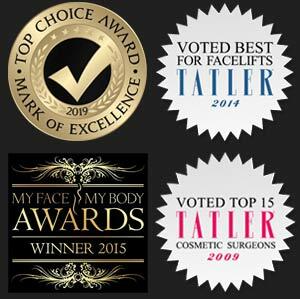 At Cosmetic Surgery Partners, our expert team have extensive experience in Follicular Unit Extraction, also known as FUE hair transplants. This treatment involves removing healthy hair follicles from a donor area on your scalp, usually at the back of your hair where hair is far more abundant. These healthy hair follicles are then grafted onto any bald or thinning areas of your head, where they will then continue to grow. Your hair transplant will be carried out under local anaesthetic, which eliminates the downtime and risks often associated with other hair transplant procedures. As an added bonus, the FUE hair transplant leaves no detectable scarring or stitching, and you will be able to see the outline of your new hair immediately after treatment. After around 6-12 months, the transplanted hair will have re-grown fully, with the end result looking completely natural. So, if you’re looking for a permanent, reliable solution to your hair loss problems, get in touch with our expert team today to find out if a hair transplant could be the right solution for you.